My son Caleb loves to wood carve. And paint. And draw. Creations of all kinds. 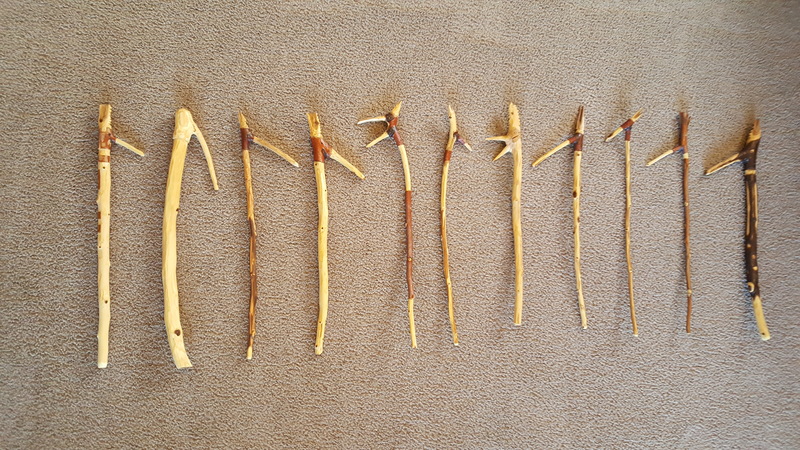 Caleb carved these charming bird-beak back scratchers out of tough Russian Olive wood collected near Rabbit Lane. He has created an Etsy account where you can see each of these awesome artistic bird-beak-scratchers highlighted individually. Pay a visit; take a look. Way to go Caleb! This entry was posted in Birds, Memoir, Nature and tagged Back Scratcher, Backscratcher, Crafts, Woodcraft on January 1, 2018 by Roger Baker-Utah. 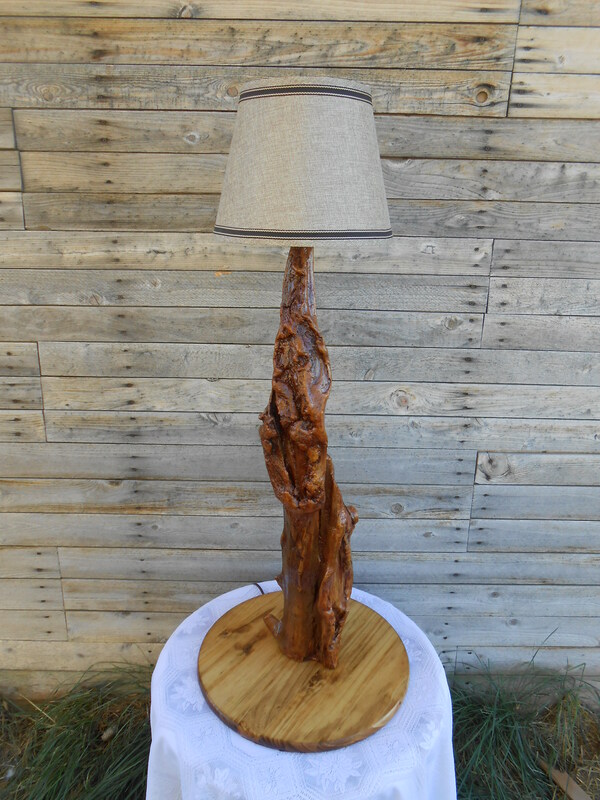 At 42 inches tall, this lamp presented a unique challenge. Whereas Smoke and Waves were made of hard twisting wood difficult to drill, this lamp was rotten on the inside and brittle on the outside. To keep the delicate exterior from constantly flaking off, I brushed it with several coats of diluted wood glue, transparent when dry. A Provincial stain covered it nicely. To reinforce the interior, I poured into the cavity a mixture of plaster-of-paris and wood glue, inserting a length of old curtain rod to preserve a conduit for the lamp wire. Despite the challenges, I was quite happy with how this lamp turned out. I called it Reach for its tall, elegant, vertical lines. Though we believe Reach would have sold in excess of $600, I gave it to my good friend Justin M. in trade for his much-appreciated time as a journeyman electrician in wiring my outbuildings, including my chicken coop, work shop, and future writing studio, the interior walls of which I am finishing with antique brick acquired from a retired farmer. 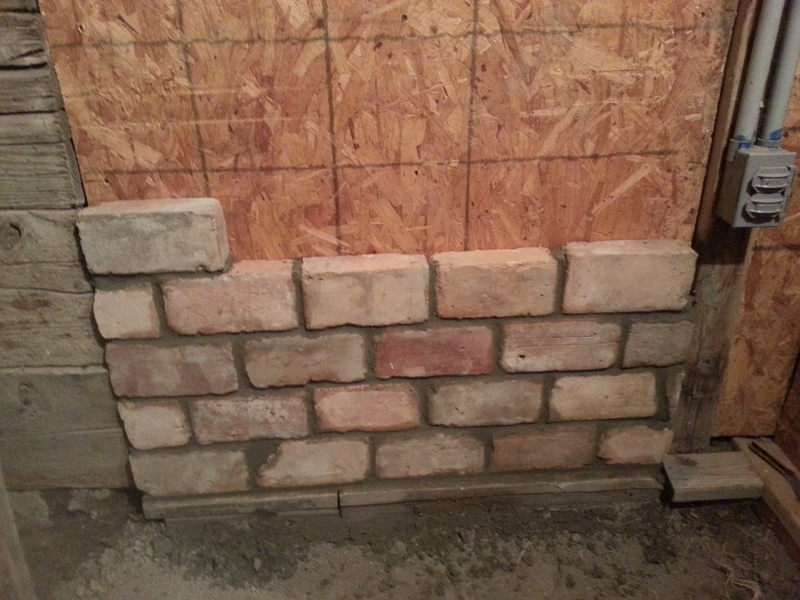 This entry was posted in Beauty, Memoir and tagged Brick laying, Crafts, Lamps, Woodcraft, Woodworking on September 27, 2015 by Roger Baker-Utah.